How to Unblock and Watch Fox Sports Online Outside US with A Blazing Speed? There is literary no dearth of die-hard sporting fans who prefer surviving on a heavy diet of NFL, NASCAR, NBA, NHL or Soccer games rather than food (yes, we mean it!). If you are one of them, you could better understand the craze of being a part of those nail-biting finishes as a spectator. 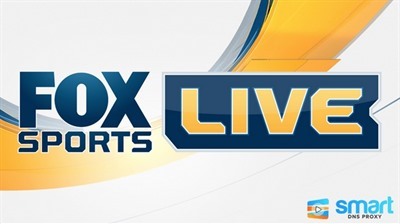 Fox Sports brings to you all this happening action exclusively live, via a series of online streaming channels it owns. There is an irony though to this otherwise encouraging fact - The sensational sporting events available online are only for the eyes of US audience! Yes, this means that Fox Sports undergoes geo-restrictions. Hence, for people willing to watch The Kansas City Royals playing in AL Wild Card post season game after 29 years, or those wanting to see Totti scoring goals like hell in the Champions League, there is no way out to help them actualize their dreams. The very moment they board a flight to somewhere outside the US, they are made to bear a permanent cut off from their favorite sporting moments on Fox Sports. In fact, this streaming service is not alone in the race to block the access of sports and entertainment programs outside US, there are many more to join the bandwagon. Some renowned ones in this list include BBC iPlayer, Zatttoo, Pandora, Hulu, Netflix, HBO GO, and so on. Thankfully, as a silver lining to this black cloud, methods like VPN, Proxy, and Smart DNS Proxy exist to your rescue. You can choose them to watch fox sports online streaming, as well as almost any other similar service. Once you opt for one or more of these alternatives, you can be in a better position to get satisfying reply to your “Can I watch fox sports online outside US” query. In general, Smart DNS Proxy holds an upper hand. Before moving ahead to know how it is better equipped to help you bypass the filtering, as compared to others, let’s see what is the real problem that looms Fox Sports as you go out of its range. The Fox Sports Network is a division of the media magnate, Fox Broadcasting Company, which is in turn a division of 21st Century Fox. It is specifically devoted to broadcast sports related events and shows all across the US through its regional channels. Due to licensing restrictions, FOXSoccer.tv are unable to broadcast these events in your country. We have detected that you're accessing this site from an area where we do not have the rights to show FOX Soccer events. If you have moved away from the USA to another country and are unable to cancel your subscription - please contact FoxSoccerSupport@performgroup.com. The latter part aims at solving this problem. Smart DNS Proxy is a welcome method to get you rid of such georestrictions as it reroutes a part of your internet connection, instead of changing the entire IP address, like in VPN. You don’t need to install any software to use it. The vendor, from which you avail its services, provides you with a region specific DNS server address that you need to enter in your network settings. This will help you to unblock and enjoy Fox sports online with an unchanged speed, enabling you to watch fox sports TV online through flawless streaming. The best thing is that it runs with equal ease on almost any device, whether Android smartphone, iPad, iPhone, Xbox, Playstation, Smart TV, Blu-ray Player, PC or Mac. Which service provider to opt for? In order to make the most of Fox Sports while you go outside, choosing Smart DNS Proxy would be a smart choice. It gives you total freedom in web browsing with the facility to unblock & access over 200+ Channels in 29 Countries with blazing fast speeds. To begin with, you can opt for its 14 day free trial offer. Once you get used to it, you just cannot resist buying its budget friendly paid subscriptions.